The theme for this challenge was chosen by America. She would like to see you use jewels or jewelry on your card/project. 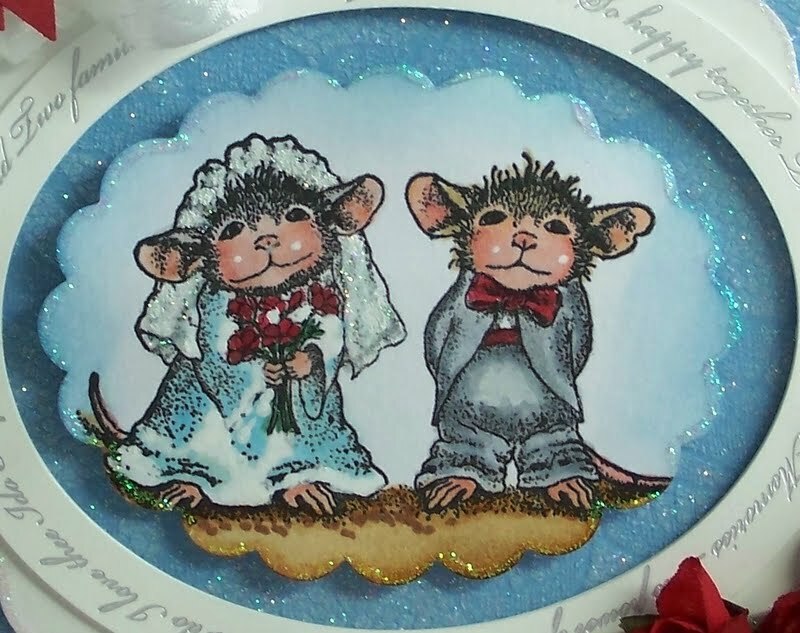 This special little couple are going to the Chapel! I used two sided sticky backed paper and laid lace on the powder blue card stock and used white Art Institute glitter on top of the lace. The oval is from K & Company, as well as the words Bride and Groom. 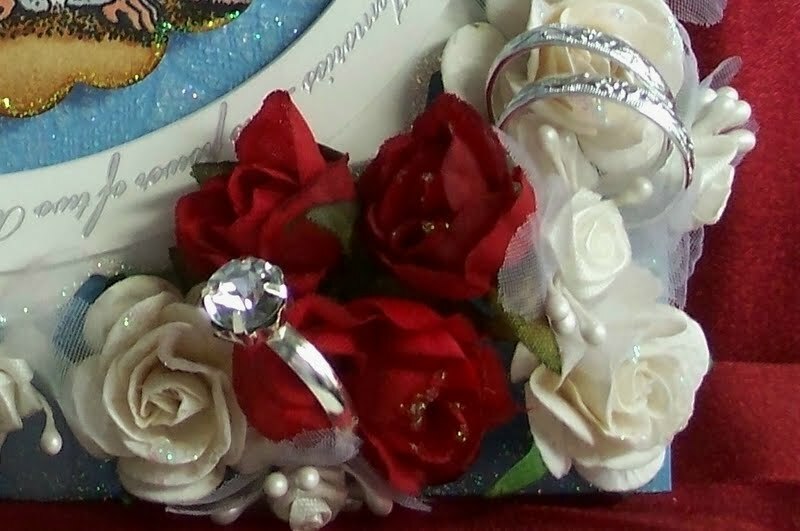 I tucked the sweet couples rings into the flowers. Her beautiful diamond and a pair of matching wedding bands. Red and white Prima roses and some tiny roses with net from Michael's make up the flower arrangements. A big white double bow with a pair of red punched hearts and some corner pearls are the finishing touches to this card. Our Sponsor this challenge is Simon Says Stamp, and the winner by random draw will win a $15 Gift Card for their online super store, and a second prize from America will also be given away. So ink up those House Mouse, Gruffies or Happy Hoppers and put on some jewelry and/or jewel bling and enter your card in the challenge. It runs through Sunday, June 22nd. We can't wait to see what you come up with. Oh Sue this is stunning!!!! Oh WOW Sue, what a fabulous wedding day card!!! 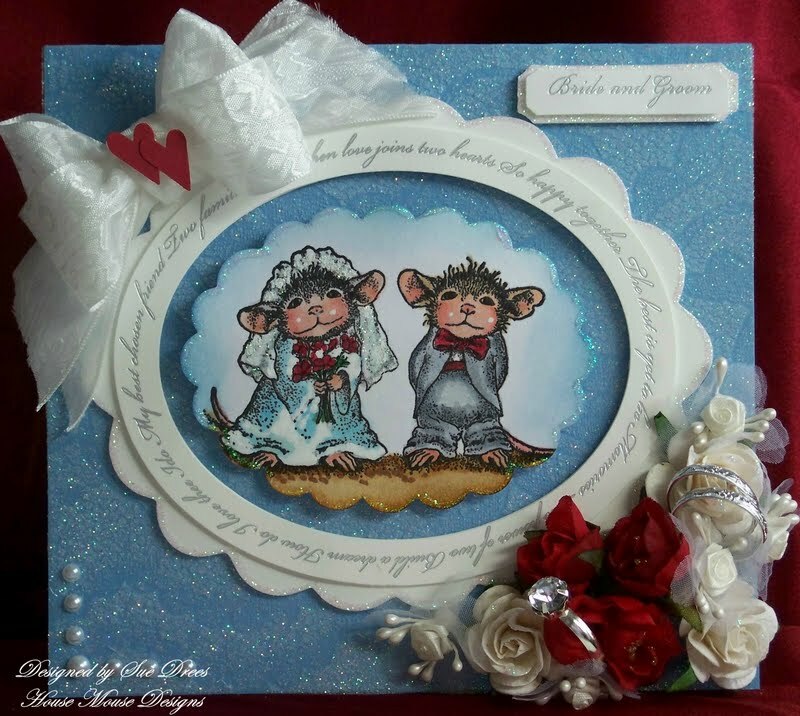 Beautiful colouring of the 'Happy Couple'..........your layout is fantastic and such beautiful embellishments, I love the addition of the rings tucked into the flowers!! this is soo cute and beautiful, love how you addit the rings. So beautiful Sue,I love the image and the colours. Wowzer stunning creation Sue gorgeous colour combo & the image is THE sweetest..lovely flowers & fab take on the jewellery chall. That is quite the wedding card. Love the flower arrangement and that ring would look real good on my finger Ha Ha. 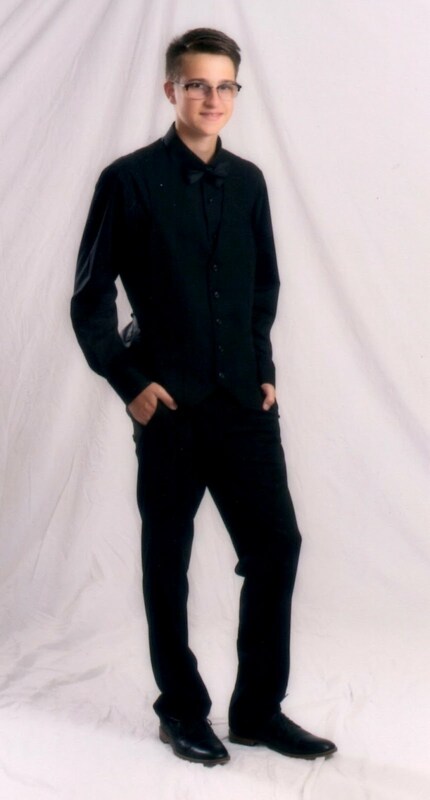 WOW... Sue this is amazing! I totally adore this HM, your coloring is fantastic. Look at those flowers.... the little hearts on the ribbon bow are perfect. Simply gorgeous. Oh with a daughter's wedding on way, this card really stole my heart Sue...pure darlingness! Awww Sue, this is precious!!!! 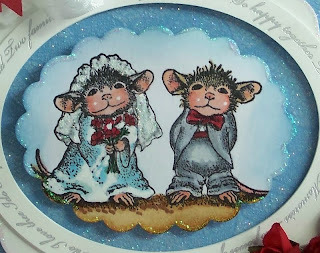 Your colouring of these little miceys is always fabulous and I love the wedding decor you've added to your creation!! The flowers and rings, wow, so stunning, it looks amazing, and so very clever! !